Driverless cars will be here before you know it. 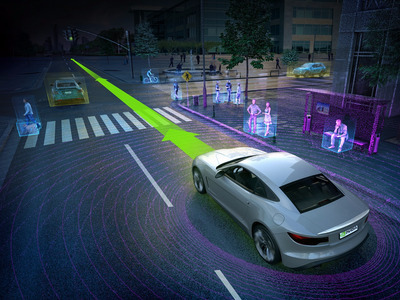 Several automakers have already showed off their self-driving car technology and many car companies aim to roll out production vehicles with driverless capabilities by 2020. Industry experts expect fully autonomous vehicles to follow suit just a few years later. This era of driverless cars will transform our lives in more ways than one, Erik Coelingh, Volvo’s Senior Technical Leader for Safety and Driver Support Technologies, told Tech Insider. While it’s still too early to know all of the ways autonomous vehicles will impact our lives, Coelingh, who is helping lead Volvo’s driverless car program, said he does foresee self-driving cars bringing more advantages than disadvantages. 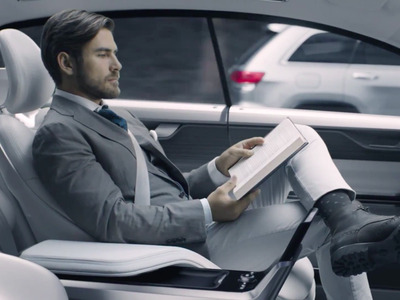 Here are three key ways Coelingh said autonomous vehicles will improve our lives. In the US, more than 30,000 people die in traffic-related deaths every years. But self-driving cars could drastically reduce the number of accidents helping to save thousands of lives. In fact, if about 90% of cars on American roads were autonomous, the number of accidents would fall from 6 million a year to 1.3 million. Deaths would fall from 33,000 to 11,300, according to a study by the Eno Centre for Transportation. Traffic and fuel efficiency will greatly improve. Self-driving cars will make driving more efficient on all fronts, Coelingh said. 'There's potential in efficiency, efficiency in terms of better traffic flow, but also less fuel consumption,' Coelingh said. Because cars will be automated, there will be less chance of accidents caused by human error, leading to less traffic congestion. It's also expected that the rise of self-driving taxis will help decrease the total number of cars on the road, alleviating the overall traffic. 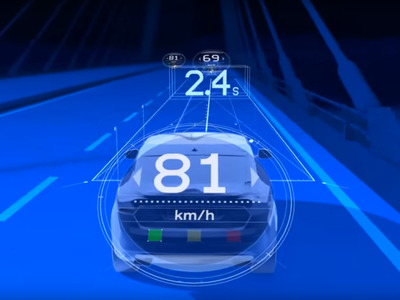 What's more, because driverless vehicles are designed to optimise efficiency in acceleration and braking, they will also help improve fuel efficiency and reduce carbon emissions. In fact, adoption of autonomous cars could reduce CO2 emissions produced by cars by as much as 300 million tons per year, according to McKinsey. You will have more free time. With cars doing most or all of the driving, you will be free to make the most of your time spent in the vehicle, Coelingh said. And because traffic congestion is also expected to decrease, it will likely take you less time to get to your destination, which will also help create more valuable time for other things besides commuting. According to McKinsey, commuters worldwide could save a combined 1 billion hours everyday once autonomous vehicles go mainstream.